If you are a car owner, you will know all about dents and scratches, and no matter how hard you try, it is impossible to keep the bodywork free of these minor defects. Many things can cause this, parking in tight spaces is a major supplier of door dings and scratches, as people try to manoeuvre out of tight areas. If you require the services of a good body repair shop, here are some important things to bear in mind. Many motorists are mistakenly under the impression that their insurance covers absolutely everything, yet often, it turns out that they are not covered for car rentals when the vehicle is being repaired. It is always best to read the terms and conditions very carefully, as often these little exclusions are tucked away in the small print. 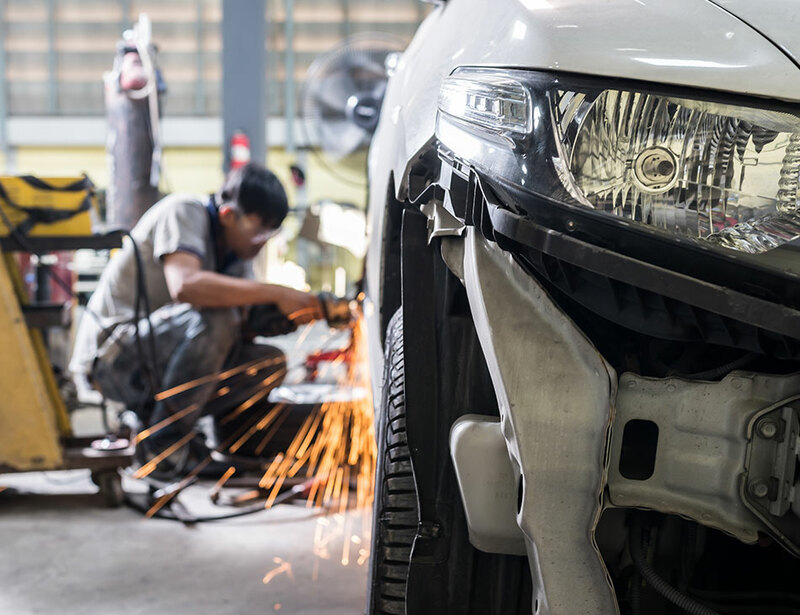 If you are involved in an accident, do not assume that your insurance company should decide who fixes your car, it is, after all, your money that is paying for the repairs, therefore you should be the one to decide where it gets repaired. At Nova, we repair all types of damage, and mostly our customers are covered by insurance, and they insist upon us repairing the damage, as we have a consistent reputation in the Perth area, and are an established company with many years of hands-on experience with all types of bodywork repairs. This is essential, as it makes the repair process much faster. Often, a vehicle cannot be driven from the accident site, and the best solution is for a qualified vehicle inspector to come to the site and give their quotation for the repairs. This means everything can be agreed there and then, and the repair company will arrange to transport the vehicle to their workshops for immediate repair. If the car repair company is established, they would have a fleet of cars for their customers to use while the repairs are being carried out. This service would be complimentary for repeat customers and not at fault drivers, and there would be a priority for those whose cars are not drivable. This means you can carry on with your life, without any inconvenience until your car is ready. A reputable car body repair company would have a state of the art facility, equipped with the latest technology, including paintless dent removal (PDR), which, if it can be used, is far cheaper, as there is no need for repainting. Generally speaking, PDR can be used on small dents where the paintwork has not been compromised, and the technician would be able to advise you on the best solution. The repair process should be explained to the customer, and if there are choices, the pros and cons should be discussed, leaving the customer to make an informed decision. If you are in the Perth area, and your car has been involved in a collision, contact us today, and we will do our best to repair the damage as soon as possible.